Supreme Cleaning Ltd offer a professional and expert level of service for surgeries, sports clubs, entertainment venues, schools and offices across Blackheath. We are an experienced commercial cleaning company that specialise in daily contract cleaning across the South East. We have a team of fully trained cleaning operatives onboard with all the necessary skills and experience to provide a reliable and consistent service that is insured and reference checked. Supreme Cleaning (Kent) Ltd are specialists in the provision of commercial window cleaning, floor and carpet cleaning services to commercial properties in Blackheath. We have a team of highly trained and experienced professionals on board who offer an outstanding cleaning service every time. We are fully insured and our operatives are all reference checked, trained and monitored to ensure your business always receives a highly professional and consistent service. We work with a whole range of commercial clients, from small offices to multi-floor blocks, schools and entertainment venues. Exceptional service is at the heart of our business, so we include a service level agreement that ensures 100% reliability from our team. Our bespoke commercial cleaning service has an excellent reputation, offering complete client satisfaction in everything we do. We are hugely experienced daily contract cleaners for offices, businesses and other industrial environments. We have given offices and various businesses the opportunity to make an excellent first impression on visiting clients and customers thanks to a comprehensive commercial cleaning service that covers everything from cloakrooms and corridors to lifts and meeting rooms. Our in-depth cleaning service ensures a safe working environment for colleagues and employees. 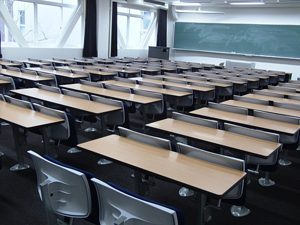 We also provide our daily contract cleaning services to schools and colleges in Blackheath. It’s important that children are given a safe and hygienic environment to further their education and we recognise the positive impact of a healthy schooling environment. We have the cleaning products available to ensure any germs are killed early on to avoid the spread of illness and the likelihood of further absences that affect a child’s educational development. 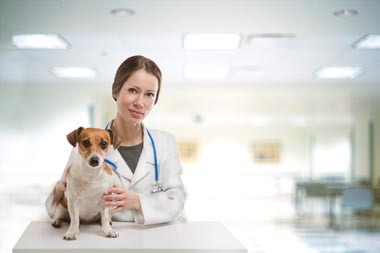 We have recently taken on the cleaning for a number of veterinary surgeries and are more than happy to provide outsourced daily contract cleaning for your veterinary surgery as well. It can be stressful for in-house managers who have adopted the cleaning responsibilities, especially if absence or illness should strike unexpectedly. Hygiene is essential in any surgery environment and we can leave your surgery spotless so that waiting rooms and other parts of the premises are safe and healthy for visitors and members of staff. We also provide our specialist cleaning services for sporting and social venues such as golf clubs, concert halls and Masonic lodges. It’s important to make a good impression on those who are attending large gatherings or parties at these venues, as well as those who visit regularly. We can make sure your venue is as clean as possible, with a service level agreement that guarantees an outstanding service every time. For a free no-obligation quote simply contact us by filling in the form below or by calling us on 01322 384500 for more information on our specialist cleaning services in Blackheath.